Raken, the #1 Daily Reporting App in construction today, is living up to the ranking as it helps to streamline development of the new stadium in Atlanta. 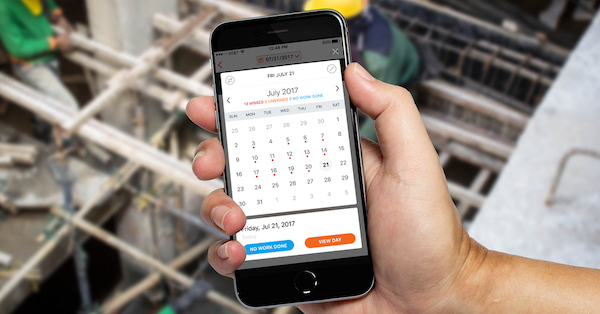 The Raken app is saving contractors valuable time on the job site as they work to complete the state-of-the-art facility. The multi-purpose stadium is slated to open in August. The facility is the product of cutting-edge engineering as it boasts a one-of-a-kind translucent eight-panel retractable roof that operates like the iris of a camera. Contractors on the project utilizing the Raken construction site software, Peachtree Mechanical Inc. (PMI), and Superior Rigging & Erecting, both had vital roles in constructing one of the most impressive feats of engineering in existence today. PMI was contracted to perform the HVAC and domestic water piping. While on the project and with help from Raken, PMI won three safety awards and was named contractor of the month twice. PMI was recognized several times as the model in scheduling, documentation and project execution. Due to the scope of work and complexity of a stadium project this magnitude, Superior Rigging & Erecting had to figure out a better way to get daily reports from the field to the people who needed them most. After much research and several demos, they decided on the Raken construction site software to fulfill their specific needs. Raken developed its award-winning daily reporting software to reduce inefficiencies and streamline the management of construction projects from skyscrapers and sidewalks to mixed-use stadiums like Atlanta’s. The Raken construction site software allowed PMI and Superior Rigging superintendents and program managers to walk the stadium job site free of the cumbersome clipboard, papers and pencils that have long been standard accessories for tracking progress on projects big and small. Superintendents can eliminate an average of an hour a day from their workloads and avoid the tiresome end-of-day task that paper reporting requires. Raken's construction site software effectively removes the daily headache of writing out duplicate reports and then transferring to a computer. An efficiency that contributes to faster completion time and significant cost savings.